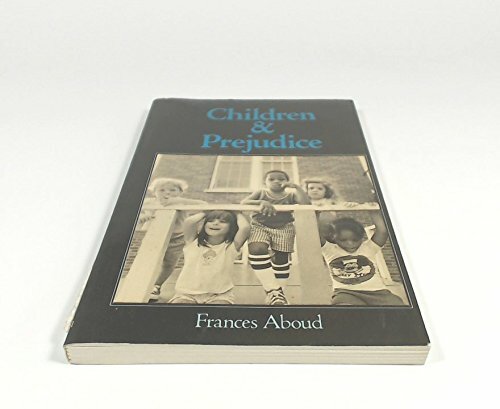 After receiving her Ph.D., Frances Aboud began her research in developmental psychology, focusing intially on the development of racism in children. Working with her colleague Morton Mendelson, Professor Aboud developed the McGill Friendship Questionnaire. The questionnaire offered insight into how children develop friendships and classify others. Using the questionnaire, her research showed that children often keep an emotional distance from children of other races, but that this distance can be reduced by exposing racist children to children with lower levels of prejudice. These and other findings led her to publish her first book, "Children and Prejudice," in 1988. More recently, she has been studying how both cross-ethnic friendship and cross-ethnic bullying (esp name-calling) influence positive integration in multi-ethnic schools. She and her students study the conditions under which children who witness name-calling can be encouraged to take an anti-biased stand to stop bullying. Another branch of Professor Aboud's research focuses on health psychology. After examining health behaviors in developing countries, she published her second book in 1998, entitled "Health Psychology in Global Perspective." Following the publication of this book, she took a two-year sabbatical in Bangladesh to further study health psychology in a cross-cultural context. She returns for several months each year to continue this research. In particular, she helps local NGOs to improve their early childhood programs in education and nutrition by evaluating existing programs, suggesting improvements and then evaluating the benefits. Aboud, F. (1988). Children and prejudice. London: Blackwell Publishers. Aboud, F. E. (1998). Health psychology in global perspective. Thousand Oaks, CA: Sage. Aboud, F. E. (2007). Evaluation of an early childhood parenting program in rural Bangladesh. Journal of Health, Population and Nutrition, 25, 3-13. Aboud, F. E. (2003). The formation of ingroup favoritism and outgroup prejudice in young children. Developmental Psychology, 39, 48-60. Aboud, F. E., & Fenwick, V. (1999). Exploring and evaluating school-based interventions. Journal of Social Issues, 55(4), 767-785. Aboud, F. E., Huq, N. L., Larson, C. P., & Ottisova, L. (2010). An assessment of community readiness for HIV/AIDS preventive interventions in rural Bangladesh. Social Science and Medicine, 70, 360-367. Aboud, F. E., Mendelson, M. J., & Purdy, K. T. (2003). Cross-race peer relations and friendship quality. International Journal of Behavioral Development, 27, 165-173. Aboud, F. E., & Miller, L. (2007). Promoting peer intervention in name-calling. South African Journal of Psychology, 37, 803-819. Aboud, F. E., & Sankar, J. (2007). Friendship and identity in a language-integrated school. International Journal of Behavioral Development, 31, 445-453. Aboud, F. E., Shafique, S., & Akhter, S. (2009). A responsive feeding intervention increases children's self-feeding and maternal responsiveness but not weight gain. Journal of Nutrition, 139, 1-6. Aboud, F. E. (2009). Editorial introduction to a Virtual Special Issue on Health Behaviour Change. Social Science & Medicine online. Aboud, F. E. (2008). A social-cognitive developmental theory of prejudice. In S. M. Quintana & C. McKown (Eds. ), The handbook of race, racism, and the developing child (pp. 55-71). Hoboken, NJ: Wiley. Aboud, F. E. (2005). The development of prejudice in childhood and adolescence. In J. F. Dovidio, P. Glick, & L. Rudman (Eds. ), On the nature of prejudice (pp. 310-326). Oxford: Blackwell. Aboud, F. E., & Amato, M. (2001). Developmental and socialization influences on intergroup bias. In S. L. Gaertner (Ed. ), Blackwell handbook of social psychology: Intergroup processes. Blackwell Publishers. Aboud, F. E., & Joong, A. (2007). Intergroup name-calling and conditions for creating assertive bystanders. In S. R. Levy & M. Killen (Eds. ), Intergroup attitudes and relations in childhood through adulthood (pp. 249-260). Oxford: Oxford University Press.